When is the Best Time to Go to New Zealand for Your Next Vacation? The best time to visit New Zealand is based on a number factors including where you’re planning on going, what interests you, your budget and what you think is the best climate for you personally when traveling. Being New Zealand travel experts since 1999, we have collected data that helps our customers make the decision about when the best time to travel to New Zealand is for them. If you want to be inspired as you travel, check out a few of our New Zealand vacation packages or contact us if you have more questions. We would be more than happy to help you start planning your trip. 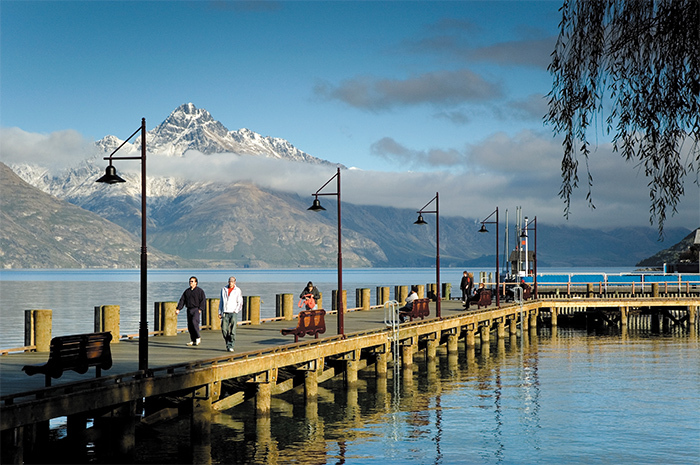 Here are a few things you should consider when planning a trip to New Zealand. When will the New Zealand climate be the most comfortable for you based on what you plan on doing in New Zealand? Here are useful charts on Climate Highs & Lows and Average Rainfall. The hottest temperatures in New Zealand are really never that hot. The hottest temperature on record is over 110 degrees Fahrenheit but thankfully, New Zealand usually warms up to only about 75-80 degrees. It can get hotter in the North Island than the South Island, opposite to the US. The coldest temperature on record for New Zealand is -7F but again that’s the extreme, usually a warm coat and umbrella will keep you cozy in the average 30-40F weather. New Zealand is known for having four seasons in one day in certain areas. Our best tip is to wear layers and be prepared for a chill or rain! New Zealand does have a wet season. The rainiest month tends to be in November, though it depends on the city. New Zealand is also known to have all four seasons in one day, so rain should be planned for throughout the year, just in case. For more information, visit whatstheweatherlike.org, NIWA and MetService. They have detailed information for New Zealand cities. Seat availability, tours and accommodations could be limited or priced higher during New Zealand’s holiday season. New Zealanders typically travel around school holidays and you may find that the months of December – February are harder to book or more expensive. Airfare pricing to New Zealand is affected by the dates you choose to travel ranging from Basic Seasons (low prices) to Peak seasons (expensive). 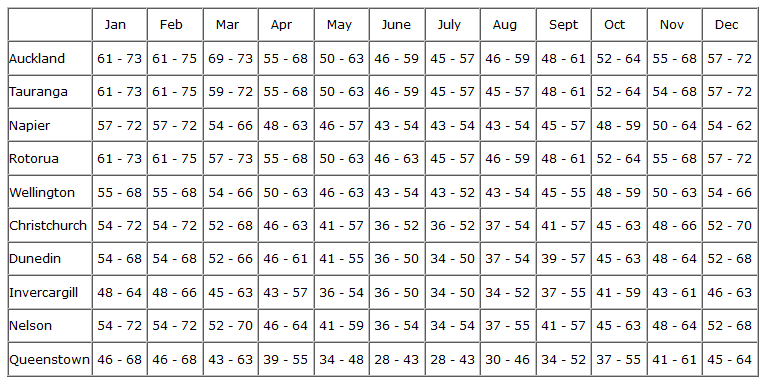 Choosing a travel by date within these seasons will determine the cost of your flight. Basic (Low Prices) May 1st to June 8th and Jul 24th to September 21st. Shoulder (Mid-range): February 1st – April 30th, June 9th to July 23rd, September 27th to December 8th. There are some activities in New Zealand that only apply during certain seasons. For example, if you’re a skier, obviously you’ll want to travel during New Zealand’s Winter months (June-August) and the above factors don’t apply. Whale watching season is also best in June-August. Diving can be done year-round, but the best diving experiences are January to June. This falls toward the end of summer and all through fall where water temperatures range from 45-70F depending on where you diving. However, being aware of all conditions even if you’re planning around a special event or activity is essential for traveling in New Zealand. Because the weather can fluctuate in a day, it never hurts to be prepared for everything. Based on all factors above, the best time to visit New Zealand would be Spring (September – November) or Fall (March – May). This travel period provides inexpensive flights, comfortable weather and because they’re not high seasons there are fewer travelers you’ll bump into. Hopefully, you’ve found this information useful. If you have questions, want advice, or just need help planning your trip, don’t hesitate to call us Toll Free at 888-359-2877 (M-F, 8:30am – 5pm CT USA). We would LOVE to help you plan your dream vacation to New Zealand!